The domestic shipping business that is Hawaii's main lifeline for goods is reverting to a duopoly next year after nearly a decade of three-way competition, though local consumers and businesses are not expected to see significant price or service changes. Star-Advertiser. 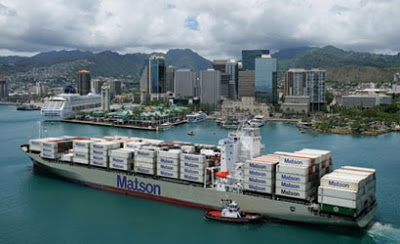 Two business transactions announced Tuesday will significantly change the seascape of the shipping industry in Hawaii. Matson Inc., which has the largest share of the U.S. mainland-to-Hawaii market, said it will buy Horizon Lines Inc. for $69 million. Matson also will acquire Horizon’s debt. Tribune-Herald. Matson Inc., which has the largest share of the U.S. Mainland-to-Hawaii market, said it will buy the Alaska operations of Horizon Lines Inc. for $69 million. Matson will also acquire Horizon’s debt. Separately, Horizon will sell its Hawaii operations to The Pasha Group for $142 million and shut down its Puerto Rico business. Garden Island. Commentary: State Senate will lean left, House will go right. In analyzing the power shifts in leadership and committee assignments for the upper house of the Hawaii State Legislature, we predict a more liberal Senate in the 2015-16 Legislature. But the House will likely shift right. 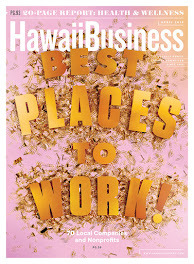 Hawaii Independent. The state Supreme Court will hear arguments in December on a state House lawmaker's legal challenge to Hawaii's marriage equality law. Star-Advertiser. A federal investigation is underway into whether tenants at 68 federal housing projects across the state are violating the rules and taking advantage of taxpayers, sources told Hawaii News Now. The U.S. Housing and Urban Development Department, known as HUD, began an Inspector General's investigation into tenants at federal housing projects across Hawaii several months ago, sources said. The Hawaii Health Connector has quadrupled the number of call center workers at the state's insurance exchange to make it smoother for residents to enroll in medical coverage after a disastrous rollout a year ago. Star-Advertiser. The nonprofit Faith Action for Community Equity is hosting a summit on Saturday focused on Hawaii’s affordable housing crisis. Civil Beat. Opinion: Voters Didn’t Show Up Because the Election Was Boring. Civil Beat. Service to the country by veterans past and present — including a legacy of contributions by Hawaii's sons and daughters — was remembered Tuesday at the National Memorial Cemetery of the Pacific at Punchbowl. Star-Advertiser. More than 400 homeless people have died on Oahu in the past eight years, a Civil Beat review of medical examiner’s death records has found. Civil Beat. State and city agencies want the Navy to either double-line its operational underground fuel storage tanks at Red Hill within the next 10 years or shut them down, according to a draft report issued last week by the Red Hill Fuel Storage Facility Task Force. Star-Advertiser. PBS Hawaii held a groundbreaking ceremony Monday morning morning on the site of its future home — 315 Sand Island Access Road in Kalihi. The public television station’s lease with the University of Hawaii at Manoa is expiring. 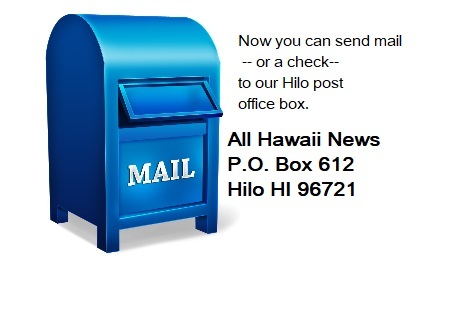 Thus far, PBS Hawaii — it’s a 501(c)(3) nonprofit — has raised more than 75 percent of its $30 million capital campaign goal. Civil Beat. A day after the June 27 lava flow claimed its first Pahoa home, Hawaii County Civil Defense reported that the leading edge of the flow remained stalled 480 feet from Pahoa Village Road. But activity taking the form of a number of breakouts further up slope behind the flow front continued. Tribune-Herald. 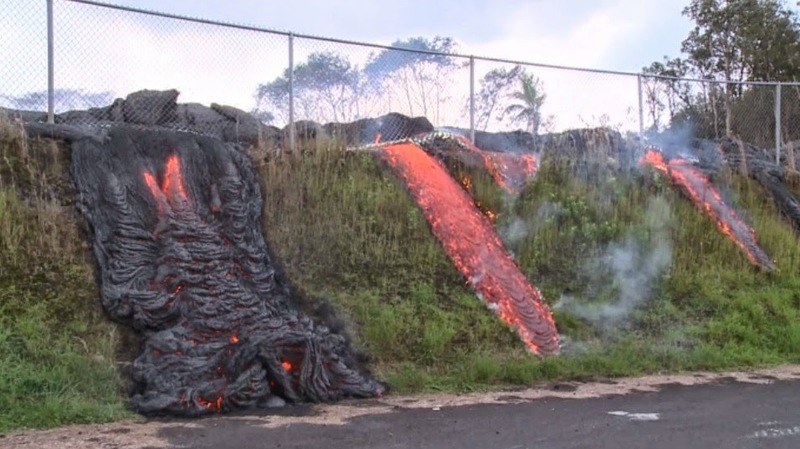 Lava from Kilauea Volcano flowed through a fence surrounding Pahoa's $3.5 million waste and recycling center Tuesday afternoon, one day after it burned a nearby house. Star-Advertiser. As the lava flow from Kīlauea’s Pu’u ‘O’o Vent continues to creep through Puna just outside of Pahoa, Hawai'i County officials are facing a series of decisions. A major one concerns roads. Hawaii Public Radio. Hawai‘i County Civil Defense officials say they're very closely monitoring three active Puna lava flow breakouts in the Apa‘a Street vicinity. 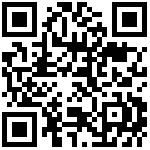 Hawaii News Now. A local resort is scrambling to get an after-the-fact permit after it was cited by the county Planning Department for unauthorized construction and landscaping work. West Hawaii Today. The new Hawaii Community College — Palamanui center must become its own master while pushing the envelope to develop innovative offerings. That was the message at a community forum Tuesday evening at Old Kona Airport Park, with several speakers saying the West Hawaii population has lacked proper access to higher education for too long. West Hawaii Today. Council Member Mike White announced Monday that he will chair the Maui County Council in the next term, unseating current Chairwoman Gladys Baisa, who characterized her deposing as a "coup." Maui News. The Maui region of Hawaii Health Systems Corp., which includes Maui Memorial Medical Center, Kula Hospital and Lanai Community Hospital, could plunge into a $46.4 million cash-flow deficit by fiscal 2017 if it continues on its current financial trajectory. Maui News. A standing room only crowd showed up to testify at an informational briefing and hearing on Maui focused on the state health system and district plans to address anticipated budget shortfalls. Maui Now. Company officials from ABC Stores, a popular Honolulu-based convenience store chain, are seeking to build a fourth store on Kauai. Garden Island.